ORTHODOXIA.INFO | Andreas Loudaros The synod of the Ukrainian Orthodox Church–Moscow Patriarchate appeared to be playing hide-and-seek with the Ukrainian president in Kyiv yesterday. Petro Poroshenko was scheduled to meet with Ukrainian metropolitans midday Monday at the Ukrainian House Congress Center in downtown Kyiv, a location considered neutral territory. The meeting had been organized several days prior, while the relevant invitation letter sent by Metropolitan Onufriy to his fellow hierarchs was dated 8th October. The letter only mentioned the scheduled meeting with the president and not any gathering of the synod. Despite everything being in order for the meeting, the Ukrainian metropolitans assembled at the Pechersk Lavra, their regular meeting place, where they were engaged in deliberations for five hours, refusing to meet with Mr Poroshenko in the location initially agreed upon. The synod then issued a statement later that afternoon saying that they are able to meet with the president only at their headquarters. Despite the distance between the Ukrainian House and the Pechersk Lavra being only a few minutes’ walk, it appears that Metropolitan Onufriy was determined to make clear that only his synod of hierarchs is canonically responsible for the Lavra. 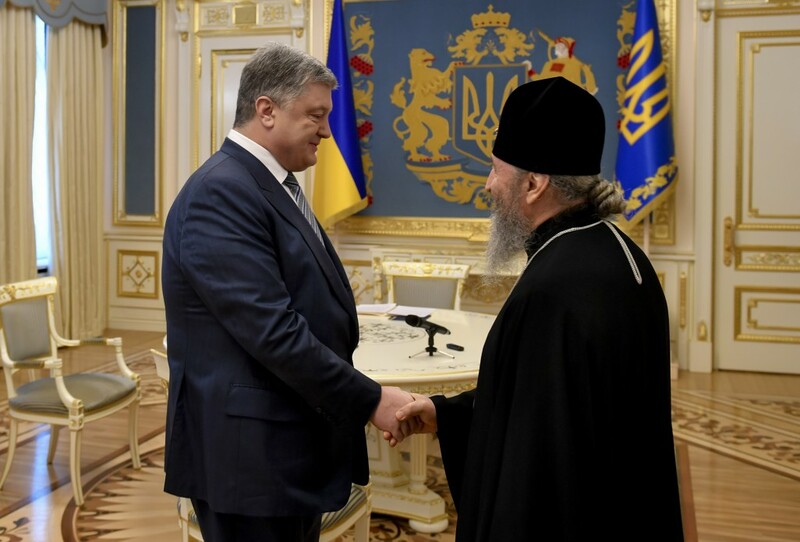 In the end, President Poroshenko met with three bishops of the UOC–MP in the evening, although further details are yet to be given. Also, it remains unclear whether these three bishops are the only hierarchs who intend to switch over to the new church or whether they met with the Ukrainian president as the representatives of a larger faction within the UOC–MP. In any case, the latter scenario seems the most likely.